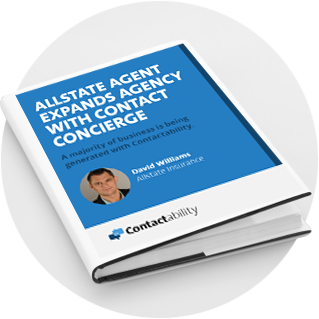 A must read for every new agent. Learn some of the best recommended practices for handling live calls received from our verification team so that you can be successful with Contactability. The Contactability team works very hard to deliver calls from qualified insurance buyers to your agency. Below are some of the best recommended practices for handling live calls received from our verification team so you can be successful with the product. Modern insurance consumers expect things to happen quickly. They want to speak to a licensed agent and receive a quote as soon as possible after submitting a request online. Our team will help you respond to your leads immediately, but we also need your help in making sure the consumer experience is superb. Once we get your prospect on the line and verify their interest, we will initiate a call to your designated transfer number. 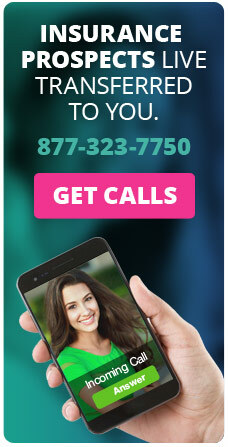 It is recommended that you answer your phone as soon as possible to limit the number of rings. The faster the better so that the prospect doesn’t have wait on hold. You can set your designated phone number and your hours of operation by logging into your account. You will not receive calls outside of the hours you set. When you answer the phone, you will be instantly connected with your prospect. We always try to make the hand-off as smooth as possible and as quick as we can. We recommend you write down the name and the phone number of the transferred lead before you start pulling it up in your system. If you are using a 3rd party lead management system, you can always pull up that lead info while you are speaking with them. You don’t want to keep the consumer waiting while you are locating their record in your system. It is best to start building rapport as soon as possible. The key is to provide a quick and accurate quote to the prospect. Because every second of the live transfer process is critical for good consumer experience, we strongly advise not putting the call on hold once you answer it. When you answer the phone we already have your prospect on the line waiting to speak to you. The most successful salespeople take the call, start the conversation and politely ask to put them on hold. You will experience fewer dropped calls and much better customer satisfaction when calls are handled with utmost phone etiquette. Train your staff on how to handle Live Calls from Contactability. It’s very important for your staff to be familiar with our process and be trained on how to handle Live Calls from Contactability. Your staff should know that when your agency receives a call from us the consumer is holding on the line and wants to talk to someone from your agency. If the licensed producer is not available your unlicensed staff should still take the call. Introduce your agency and start building a rapport with your potential client. This process should be very similar to any call-in to your agency. Your staff should never tell our call center rep or the consumer that no one is available to take their call. It’s not a good consumer experience and it will hinder our ability to send you that consumer again in the future. Remember, it’s all about providing superior customer service experience to the modern age insurance shopper. What happens if the call is dropped? If for some reason the call is dropped, we recommend you call your prospect back right away. The best thing you can do is to explain that the call was dropped but you still wanted to talk to them about their needs. Modern consumers are comparison shoppers. In today’s digital age, the consumers are shopping around for multiple quotes from multiple companies. 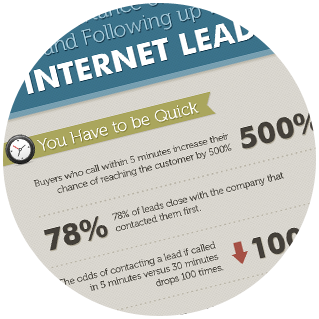 When you buy internet leads, chances are that your lead was sold to other insurance agents who are also competing for the same business. So your job is to set yourself apart and do it as quickly as possible. Contactability will help get you in contact with your prospect in the most efficient manner, but after we hang up, it is up to you to impress them with your insurance knowledge and sell your product. Don’t get frustrated if the consumer doesn’t buy right away and wants to get quotes from other agents. We recommend you identify your unique value proposition on the first call and impress your potential customer with your agency. Also, keep in mind that the prospect’s information, call statistics, reports, and live recordings are all available in your account. We want every agent to be successful with Contactability and for you to grow your book of business. If you have any questions please feel free to contact us at 877-323-7750 or info@contactability.com.